Two great software packages that can produce really excellent high quality mapping products and undertake sophisticated analysis. 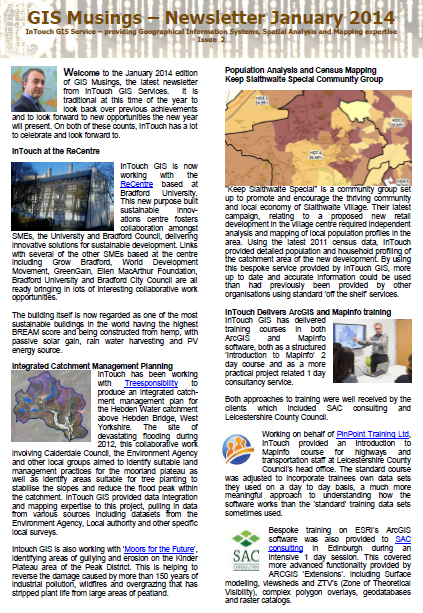 The latest edition of the InTouch GIS Newsletter "GIS Musings" is now available online. Inside this edition, the highlights from 2014 are explained, including information on how InTouch GIS has helped mapped moorland erosion in the Southern Pennines, underaken environmental risk assessments for property and land assests and even mapped waste bins in Queensland Australia.